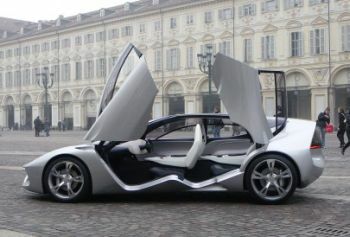 Sintesi is a sports car with four doors and four seats that was developed with a highly innovative approach: it does not consider the car as a shape that covers the mechanicals, but one that gives a shape to the mechanicals around the passengers, starting from the latter. 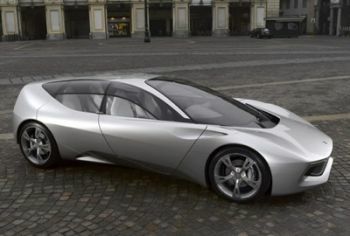 The Sintesi concept car unveiled by Pininfarina at the last edition of the Geneva Motor Show has won the red dot award 2008 which was presented in Singapore for 'the excellent quality of its design and the outstanding innovation of its technological content'. The four door, four seat sports GT Sintesi was chosen by the judges of the red dot award – from over 1900 concepts from 48 nations – for encapsulating the essence of the car of the future in its sleek and aerodynamic silhouette. 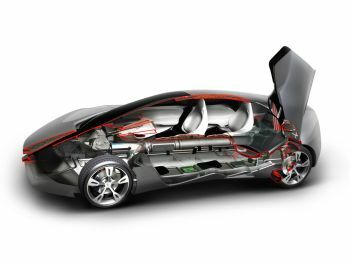 While not a study in beauty as an end in itself, the Sintesi pays more than just lip service to aesthetics, which are enhanced by uniting the interior and exterior in a design that shapes the mechanicals – a combination of fuel cells, drive train components and batteries – around the requisites for space and safety of the occupants, the true protagonists of future automotive scenarios, together with the car itself, envisioned as part of a vehicular network interconnected by a decentralised intelligence system devised to create a new harmony among cars themselves and between cars and the surrounding environment. “The Sintesi is a genuine laboratory on wheels”, says Group president Paolo Pininfarina. 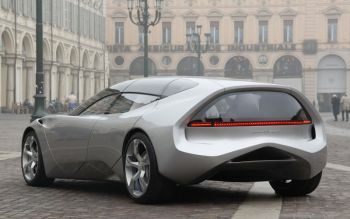 “The red dot award acknowledges the ability of the Pininfarina design team to set new quality standards for itself, start again from a clean sheet and tackle the challenge of creating something with completely new heart, muscles and brain, something that is extraordinary and futuristic by today’s criteria but destined to become the norm in future”. With more than 10,000 submissions from 60 countries, the international “red dot design award” ranks among the largest and most renowned design competitions in the world. It is divided into the “red dot award: product design”, the “red dot award: communication design” and the “red dot award: design concept.” The award-winning products are put before an international public in the red dot design museum. Each year an international jury reviews and evaluates the submitted products according to criteria such as degree of innovation, functionality and the formal quality. This ensures the seriousness of the competition and its international acceptance. The group of jurors is made up of renowned designers and design experts from all over the world who reach their decisions on which designs are good enough to receive a red dot award independently and impartially. The constellation changes from year to year and guarantees a high degree of objectivity and reliability. The award is as a seal of quality; it stands for membership of the best in design and business. The winners receive the awards in person on the occasion of the gala ceremony in the Essen Aalto-Theater, which is witnessed by more than 1,200 guests. In addition, the annual “red dot award: product design” also rewards one design team with the special title of design team of the year. The award, the “Radius” challenge trophy, has already been received by the design teams of many renowned companies, including LG Electronics, adidas, Apple, Mercedes-Benz, Nokia, Philips, Siemens and Sony. On Friday 28 November 2008, Singapore’s creative scene celebrated the winners of this year’s red dot award: design concept. In the impressive atmosphere of the red dot design museum in Singapore the proud winners were honoured in a spectacular awards presentation in the presence of more than 400 international guests from the design industry. One of the evening’s highlights was the performance of musician Timothy O’Dwyer, who created two spectacular pieces especially for the awards presentation. This year, the 1,906 design concepts that were handed in for assessment in the red dot award: design concept came from 49 nations. The high-class jury consisting of international design experts did not face an easy task selecting the best concepts given the entries’ high quality standard. The competition managed to increase its number of entries by 115 per cent this year. This is a tremendous success, which further emphasises the significance of the red dot award: design concept within the red dot design award. And the red dot: luminary goes to…170 design concepts received the red dot award. Another 21 were awarded the ‘red dot: best of the best’ for highest design quality and were thus automatically nominated for the red dot: luminary, the most outstanding design concept of the whole competition. 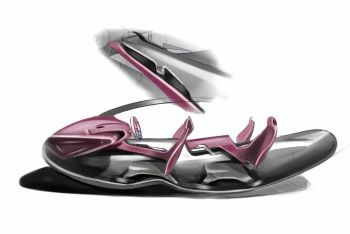 This year the coveted distinction went to “360”, an innovative concept by Francesco Sommacal, which is a new interpretation of the skateboard developed for extreme off-road use. One of the evening’s highlights was without a doubt the performance of musician Timothy O’Dwyer, who created two spectacular pieces especially for the awards presentation. The remarkable performance combined saxophones, electronics, video and dancers to create a sensational futuristic display of abstract characters, shimmering fabrics and pulsating sound, thus reflecting the red dot award: design concept’s philosophy of providing a glimpse of the future. Following the awards presentation, Ken Koo, the president of red dot Singapore, unveiled the red dot award: design concept yearbook 2008/2009, which documents the most outstanding trends and innovations of the competition. He also opened the special exhibition of the red dot award: design concept, which will be on display for one year in the red dot Traffic. Sintesi, displayed for the first at the 2008 Geneva Motor Show, is a sports car with four doors and four seats that was developed with a highly innovative approach: it does not consider the car as a shape that covers the mechanicals, but one that gives a shape to the mechanicals around the passengers, starting from the latter. This approach, which is known as “liquid” packaging, has overturned traditional volumetric balances, improving weight distribution and lowering the centre of gravity, which are important elements for driving dynamics. 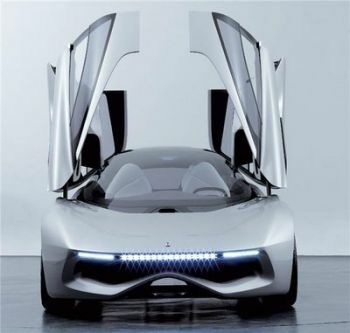 This was made possible by close collaboration with Nuvera, which developed the Quadrivium Fuel Cells system, the various components of which were distributed around the car, with four fuel cells positioned near to the wheels. The result is that the space for passengers is much more generous (in proportion to the total volume of the car) without detracting from the sporty line with a sleek, tapered and aerodynamic (Cd = 0.27) profile. The modular nature of the fuel cells, combined with the batteries and a sophisticated overall electronic architecture (developed with PI Shurlok), allows for modular use of the available power depending on driving conditions. The Sintesi was imagined in a setting of transparent mobility which, thanks to Clancast®, the radio technology developed by Reicom after years of research, envisages that all cars act as nerve cells, creating a dynamic communications network managed by a disseminated intelligence – a real “living connective tissue” on which data and information about traffic and security, audio and video, Internet and cross-media content can travel. The idea involves a concept of wireless connectivity that establishes a continuous, transparent dialogue between the town, the road and the vehicles that we will drive in the future, without limiting the motorist’s autonomy, but increasing the sense of freedom. 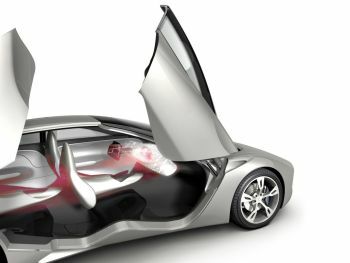 This futuristic scenario, based on concrete, existing technology, opens the door to advanced active safety solutions which in turn have made it possible to design the car with volumes that are not conditioned by today’s bulky passive safety systems. The important role played by electronics in the Sintesi project is also evident in the design of the interior and the lights. 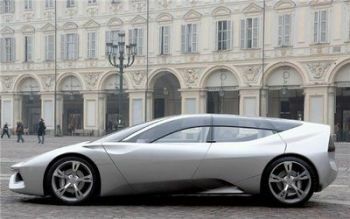 Inside, the facia symbolises the flow of information in which the car moves. Created as a single semi-transparent piece by Materialise, using the additive technology of personalised manufacturing, its shape disseminates the information around the passenger compartment with an intuitive use of colour and light. The lights become focal points through which the car dialogues with its environment. In addition to the innovative LED system supplied by Osram, which made it possible to create a simple, strong shape that underlines the car’s central axis, the ‘headlights’ also incorporate the telecameras and the proximity radar system.